The prerequisites for the Facial Rejuvenation training is either training in formal Facial Aesthetics by an approved Esthetics Institute or the completed study of Anatomy & Physiology (A&P) as described above in the CCM prerequisites. Facial Cupping and Lymphatic Drainage and proprietary topical skin foods. The combined results are outstanding. Acupressure - Precise finger placement and pressure over specific points along the body. 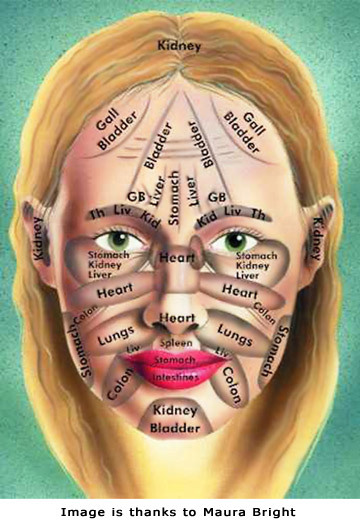 TCM theory describes special acupoints, or acupressure points, that lie along meridians, or channels, in your body. Vital energy flows through these channels as a life force called qi (ch'i). 12 major meridians connect specific organs or networks of organs, organizing a system of communication throughout your body. The meridians begin at your fingertips, connect to your brain, and then connect to an organ associated with a certain meridian. Contrast Thermotherapy is the inducement of circulatory gymnastics with the use of Hot and Cold Stones to massage the face, neck and décolleté. This treatment firms the hypodermis, increasing blood flow and excretion of toxins. Facial Cupping increases circulation, plumps lines, lightens scars, while toning the muscles and draining stagnation using the Belletazze Facial Cups. 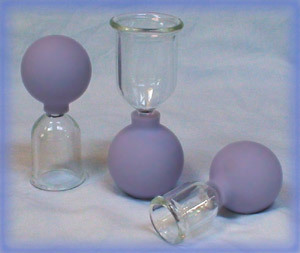 There are 2 different Cupping Sets we use during this Workshop - the EarthSpa Bells® and Belletazze®. 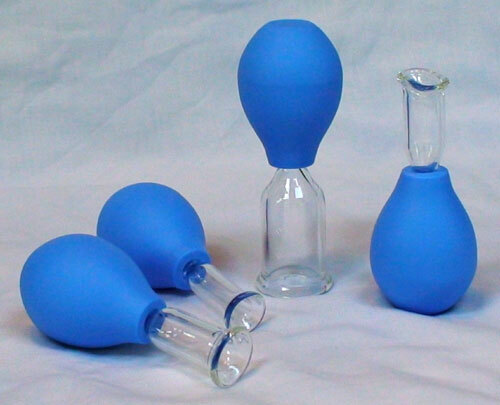 Also referred to as the Master Facial Cupping Set. 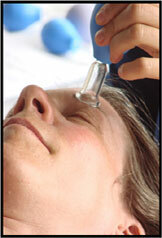 The Master Facial Cupping Set is included in the Facial Rejuvenation training. PLEASE NOTE - there is no special pricing (or refund on the tuition) for those not wanting the Master Facial Cupping Set - - the Master Facial Cupping Set is part of the Facial Cupping Rejuvenation class. If you already own Facial Cupping equipment - - you will also have the Master Facial Cupping Set that comes with the Thermotherapy Stones. Most therapists quickly find that they need at least 2 sets at their place of business AND a set for home use, which is why it is included in the tuition for the training. 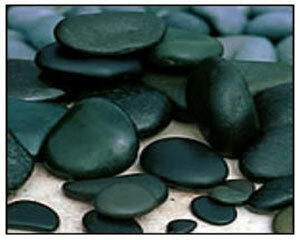 A set of Basalt Facial Stone is also included in the tuition. Students receive a workbook with the protocols, charts and forms. Included in the cost of the workshop is the Master Facial Cupping Set (Bells & Belletazze), Facial Stones, and a catalog of Facial Recipes. Facial Rejuvenation Protocol in this 8 hour intensive program! 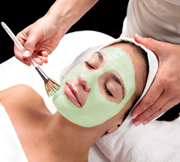 The cost for the Facial Rejuvenation Advanced Workshop is $395. Tuition includes both Belletazze and Bell Cupping sets (7 glass cups), Thermotherapy Stones, and catalog of facial topicals ~ including the proprietary EarthSpa Facial Masque you make in the workshop. PLEASE NOTE - there is no special pricing (or refund on the tuition) for those not wanting the Master Facial Cupping Set - - the Master Facial Cupping Set is part of the Facial Cupping Rejuvenation class. If you already own Facial Cupping equipment -SUPER - you will have a second Master Facial Cupping Set that comes with the Thermotherapy Stones. Most therapists quickly find that they need at least 2 sets at their place of business, travel AND a set for home use, which is why it is included in the tuition for the training. Download and include the workshop Registration Page with your payment - either email it or send it with your non-credit/debit card payment! See our National Schedule to decide when & where you want to get trained to provide your clients with the most phenominal treatments imaginable. Professional Cupping Therapists practice pre-session assessments - not only at the time of initial intake but everytime they prepare to administer Cupping Therapy on their clients. Client needs can change from day to day - addressing those needs can also change.